When I lived in New York City, every day walking down the street there were street people asking for money, on every street corner, at every subway stop, at every intersection when you stopped at a red light. Earlier in my life, out of an instinctual habit, I would give the loose change in my pocket away. Then I started running short of money myself. Then some of the street people would become violent if you didn’t give them money. Such a thing can harden the heart of a person. You start to think that you are being taken advantage of. And you know deep in your heart that you can not help everyone. We become overwhelmed by the amount of suffering in the world. But just because we cant help everyone doesn’t mean we shouldn’t help who we can. And it doesn’t mean we should stop trying to make our community a more compassionate place that alleviates such suffering that causes this need. It doesn’t matter whether our circumstances are pure chance or a design or a test. Those of us who have achieved something in life often believe because we have achieved something, because we have overcome some hardship, so therefore we think anyone should be able to do so. So I would ask you to think, what do we really know of another’s circumstances. Think about just the people in this sanctuary, what do you really know about the history, pain, sorrow, and challenges of all the people around you let alone others in our greater community, or those a half a world away, and think about whether they know your history, your deep pain, your deep sorrows. When I started this spiritual quest that led me to ministry, whenever a street person would ask me for money for food, I would offer to take them out to lunch. Now some of course declined immediately, but often many accepted. And I heard their stories, stories of hardship, stories of bad decisions, stories of illness. Often they didn’t have someone in their life, who could help them, or they felt shamed by their predicament and in all cases they were very much alone. Now there were times in my life when I made bad decisions. Some were small, some were large. I am fortunate that I have had family and friends to support me when I have fallen, and when hearing these people’s stories I often think there but for the grace of the universe go I. So how do we build resiliency in the face of adversity and an uncertain future. What keeps us going when we fall, when we fail, when we are stuck? Some resiliency can come from being able to look back on past successes we have had in the past, knowing if but given the opportunity we could again, we could succeed. How is resilaincy developed in the first place? Is it something that can be taught, or is it something that is intrinsic? Like most things I believe there is a balance. I often think of the movie Batman Begins, when after some “evil doers “ burn down Stately Wayne Mansion, Bruce Wayne the alter ego of Batman is bemoaning the tradgedy, and his trusty Butler Alfred says, your legacy is more than bricks and mortar. And then looks at Bruce Wayne and says Why do we fall. And answering his own question he says “so we can learn how to pick ourselves back up.” And Bruce Wayne looks back at him and says You still haven’t given up on me. And Alfred responds, “Never.” I think in that little interlude speaks volume about how to build resiliency and how we deal with adversity. It helps us to know we are not alone. It helps to be encouraged and to be reminded of who we are and what we are capable of. Or what we are potentially capable of. I think back to when I was young, I would go over to my grandfather’s house on Sunday mornings. Each and every Sunday he would tell me that I could do anything I put my mind to, if I just worked hard enough at it. Just don’t give up he would say. On days when the wind would blow hard, or the rain would fall or the road just seemed too long, his voice would pop up in my brain. Just don’t give up. Now after a lifetime of experiences, I know that there were things I couldn’t have done in my life. I know that no matter how hard I would have worked I could never have been the starting point guard for the New York Knicks. But in the back of my mind, when I doubted myself, I always heard his voice. He is still with me in my soul. That is his legacy to me. But I know that there are many others who are alone, many who have not had mentors, many who have not had opportunities, many who do not get second chances. And so I ask you to think about what or who has given you resiliency to get to this point in your life. And I also ask you to think about what you can do to help someone else build resiliency. What can you do to encourage someone, what can you do to help someone lift themselves up, what can you do to make someone else realize they are not alone in the world. Last summer when I and a few of our members attended General Assembly, the national gathering of Unitarian Universalists the Keynote Speech was given by the religious scholar Karen Armstrong. She has written extensively on comparative religion. She talked about her project the Charter of Compassion, the symbol of which is on the front of the order of service. She spoke of her book 12 steps to a compassionate life. Now starting Thursday Evening March 29th our Adult Religious Education program will be leading a class on this book. I strongly encourage you to attend. We often tend to think of compassion as pity of feeling sorry for someone else, but as Armstrong points out the etymology of the word compassion indicates that its meaning is to endure something with another person. This is more like the definition I use of empathy. Putting yourself in another’s shoes. And Armstrong defines compassion “ as an attitude of principled, consistent altruism” Being a comparative religious writer she goes on to speak about how the Golden Rule is an underlying value in all major religious traditions that exemplifies compassion. Now in the West we tend to associate it with Jesus, as he says in the gospel of Matthew and Luke, “ Do to others as you would have them do to you. “ which as I spoke earlier in the year, this was drawn from the Jewish Scriptures of Leviticus. 500 years earlier than Jesus Confucius said “Never impose on others what you would not choose for yourself” Ancient Hindu Texts read “One should never do that to another which one regards as injurious to one’s own self. Other behavior is due to selfish desires” and from the words of Mohammad “As you would have people do to you, do to them, and what you dislike to be done to you don’t do to them.” Muhammad combined both the positive and negative aspect of the Golden Rule. But my favorite is from the famed Jewish Rabbi Hillel, when asked if he could recite the Torah while he stood on one foot, Hillel did by saying: "What is hateful to you, do not do to your fellow human: this is the whole Torah; the rest is commentary: now go and learn" Go and learn. What can we learn about compassion. One of the earlier chapters in the book, Armstrong focuses on the need to have compassion for ourselves before we can offer it others. For if we are to love our neighbor as ourselves, we need to love ourselves first. And to love ourselves first we need to know ourselves. In her speech Armstrong was very specific in naming the book 12 steps as a deliberate allusion to alcoholic anonymous so as to heighten our awareness that we are and I quote “addicted to our dislikes and prejudices and pet hates. We often define ourselves as an individual and as a community against other people. They are what we are not. it's slightly addictive, but of course, it's poisoning us, and it's poisoning the atmosphere.” Most religious cultures, speak of a journey into the wilderness before enlightenment. This does not have to be a literal wilderness, but the journey into the hardness that has become our hearts. Let us journey there and realize what pain and sufferring have caused such hardening. And let us be willing to soften our hearts by forgiving others, and even more importantly by forgiving ourselves. When I was working as a chaplain in a hospital, when a person was in the hospital as a result of a bad choice they had made, I would often ask them, if they believed God forgave them. Without fail they would say yes. And then I would ask them, if they believed God forgave them, could they forgive themselves. Often the answer was no, and I would ask them to contemplate that. And I would contemplate that. Know yourself, understand the pain that has hardened your heart, be known by others, and then get to know others and the pain that has hardened their hearts. Most of all love yourself, Love yourself for the unique creation that you are. Recognize your interdependence with all that is. Give yourself the permission to respond from a place of love, not hate, respond from a place of patience, not impulsiveness. Respond from a place of compassion, not indifference. Recognize that all your actions, in words and deeds do impact others for better or for worse. Let us work towards the better. And this is at the core of our religion. One of the sources of wisdom from which Unitarian Universalism draws from is the Words and deeds of prophetic women and men which challenge us to confront powers and structures of evil with justice, compassion, and the transforming power of love and our second principle states that we affirm and promote justice equity and compassion in human relations. Well I wont get into what we mean by evil right now, that would be another whole sermon. Or even a sermon series….but what I want to focus on is that compassion requires action. And compassion in human relations means we must relate to other people. It means we have to get involved with others. I encourage you to be intentional about living out the golden rule. How would you like to be treated. Do you like when someone does a random act of kindness for you? Then think about doing a random act of kindness for someone else. Do you know someone who is struggling with something in their life. Think about how you would like help if you were struggling. But also acknowledge your awareness of it and ask them how they would like your help. But also let us live out the negative of the golden rule, Do not treat others as you would not like to be treated. Did someone do something you disagree with? Think about how you would want to be treated if someone disagreed with something you did or said? Do you like to yelled at or dismissed? Compassionate acts can save lives, Compassionate acts can change lives, Compassionate acts can open other’s hearts, and can open your own heart. So I ask you to be intentional in every interaction you have, and to not turn away from potential interactions and ask yourself, how can I respond in a compassionate, loving, kind way. May it be so. Change, we change so much day to day in our lives, often small changes. We make little changes each day, like changing the thermostat, changing the light bulb, changing our clothes, we change our mind, even some of us changing our hair color. I did that once….but I can assure that whatever I have left is now au natural…. from a larger perspective we change jobs, we change where we live, we can change our president every 4 years and at least every eight years, as many of us have, we can change our religion, and yes, I believe we can change the world or in the very least we can change our world. Sometimes I think it seems so big, that we forget we are interconnected to all that is, and thus we can impact all that is. When I graduated from high school, my parents sold their house in the Bronx and moved to Greenwich Village. Now for those of you who do not know these two locations, let me try to explain the culture shock. Although the older I get, I look back with a little more nostalgia and appreciation for its good points. Where I grew up in The Bronx was a middle class irish, Italian, Jewish neighborhood and growing up it felt stifling, close minded and was quite dangerous for free thinkers. So although I remained a free thinker, I learned not to express those thoughts in public. You learned what the boundaries were, both mentally and physically. If you crossed a certain block, your were in a different neighborhood and your physical safety was not guaranteed. But within your 10-20 block radius, you were fairly secure. So the physical security although real, was a metaphor as well for thinking….just don’t stray too far…. Now Greenwich Village on the other hand was the exact opposite. Walking side by side down the street were Business people, punk rockers, young people, old people, White, Black, Latino, Gay, Straight, starving artists, and wealthy. It was as if the world had pulled the curtain back and said surprise we were only kidding the first 17 years. The village lived up to the hyperbole of my imagination and my image of its creative energy. Change and Evolution in the creation of something new though causes destruction to something old. Knowing this intuitively gives us pause. So I have to ask myself, whenever I am pursuing change in my life, what is the underlying reason for the change that I am looking to make. Is the change we seek for mere convenience or desire, or is there some deeper purpose. We don’t always know the consequence of events that will occur from change, but we should focus on what our intention or purpose of change is. And this is not some new revelation….this is an old lesson…..I was thinking about this when reading the Book of 1st Samuel. King Saul, had promised his eldest daughter Merab in marriage to the man who killed Goliath. The man who ended up killing Goliath was the Sheppard boy who later became King, David. Now in the context of when this was written this was a common practice. Yet Merab ends up marrying the son of leader from another village. There is no explanation given in the Bible, but I imagine, Merab, who was a direct descendant from the royal priesthood of the Jewish people just didn’t see herself marrying a Sheppard. I can imagine her arguing with her father, to not force her to marry David in an arranged marriage. On the one hand, in the Merab and David story, there is a change in the in the culture of not submitting to one’s parents marriage matchmaking, yet there is a perpetuation of the marrying within ones socio-economic class. Either way in this story there would be a monumental change. In the story, she has the choice of defying the custom of obeying one’s father, or the custom of marrying outside ones social-economic class. This points out that change in and of itself is neither good or bad. It is just change. In the end, David becomes the greatest King in Jewish history, and eventually kills all five of Merab’s children. Which in and of itself may not be the mark of great King, but it shows how Merab’s social prejudice and lust for power had a negative cascading impact on events. The real question this story leads us to and we must ask is what is the result of the change going to be. And that is the rub. We can never truly know, so we must when embarking on change, do a few things. First we have to be careful of not falling into the trap of falling in love with the concept of change, and love change for changes sake. We must ask ourselves, why we want change, what do we hope for with this change. We must then do some real discernment on how to affect the change we want. What can we do, and what are we willing to do. Then we have to take actions to implement change, .Lastly, we have to be willing to assess our success or failure for as the poet Robert Burns wrote “the best laid plans of mice and men oft times go astray” And then we have to adapt as we move forward. It is in the going forward with uncertain outcomes, that faith is built. A faith, that intuitively, we know we have the capacity and the will to make the right, the good choices. a faith that we will find and we can light the way in the darkest of nights, a faith that give us hope in moments of despair, a faith in the evolution of the universe toward the good of all things. But faith is fortified by experiences and experiences are created by actions, and we have to willing to act and be willing even to sometimes fail, until we figure out what works. So in thinking about what to change and how to change, I am going to turn to a rock and roll prophet, David Bowie. I have always been drawn to his song Changes (that we heard earlier). A funny thing though, Have you ever listened to and even sang a song and then only later find out you had misunderstood the words. Now if you are only singing in the shower, I guess it doesn’t make a difference, but sometimes it can make a real difference to the meaning of the song. Well the chorus to the David Bowie song Changes was one such instance where this happened to me. I had always heard the song as “Changes,. turn and face the strain” but as I was preparing for today and as we heard the lyrics, are “turn and face the strange”. I thought, well both could have meaning. First turn and face the strain. There is an old adage, that I have used which is if it isn’t broke don’t fix it. Keep assessing to see if everything is working, or could be better, but if something is working, that’s really ok. So address the things that aren’t working in your life, where there are strains in your life, face them, discern about them, explore your options, and potential consequences about your actions. It could be a relationship, a job, some injustice in the community. As I said last week, put a new frame on things. Face the strain. Don’t fear it, or don’t let your fear prevent you from dealing with it..
And then face the strange. This represents the unknown. Possibly the unknown consequences of our future actions. So often we do not change anything for the fear of the unknown seems worse than what we know for certain. We often stay with the familiar at the expense of our fulfillment. Because change often involves losing something, something maybe we have become comfortable with, for a new way whose outcome is uncertain. Change involves losing the status quo of how we are doing things. Sometimes it is a new experiment, like the flash mob today. Sometimes it is the possibility of adding a second service in the hopes of reaching more individuals in our larger community with our message of love, freedom and justice. I hope you attend one of the discussion groups to share your input and wisdom. Another area of change that will happen starting in April will be how we address pastoral care. Particularly how we address pastoral care as a part of our public worship service. For that is what I consider the liturgical purpose of Joys and Sorrows to be. As I say weekly, To let others in our community share your joy or so that we can support you in your time of great sorrow. That to me is the purpose of joys and sorrows. Too often it is not used for that purpose, and can often extend and disrupt the nature of our worship. So we are going to experiment with a new way of doing public pastoral care. We are going to have a book at the front of the sanctuary, that you can write your personal joy and sorrow in prior to the service and then after the candle lighting, and offertory I or another service leader will share those notes with the assembled from the pulpit in a prayerful way. The book will remain outside the sanctuary in between services so if you have missed attending one week, you can find out what the joys and sorrows were from prior weeks. But beyond some very practical aspects, it is also a question to think about what the purpose of public worship is and how we are living out our call to care for each other. I want everyone to think about that this is public worship, not private worship. We have many opportunities for sharing of personal joys and sorrow, opinions and ideas other than public worship, and that includes coffee hour, connection circles, adult religious education, team and committee meetings, and social events, and we have other ways of communicating those joys and sorrows to the entire congregation, whether it be electronically or in the newsletter or even silent announcements. I know changing the way we do joys and sorrows will be a sensitive issue for many people. However I ask you to be open to this change, strange as it may seem to some of you. Let us experiment, assess, and adapt so that we can work towards creating the actual underlying purpose of this liturgy which I believe is pastoral care. In addition for those of you who may have a pastoral concern you wish not to be public, we will continue our tradition of lighting candles during the offertory, but in addition, at the entrance table by the front doors, there will be a plastic box that looks like this, well actually this is it, This box will be filled with pastoral care cards and envelops. You can fill these out and put them in the offering basket or after service drop the sealed envelope back in the box. You can just share your personal pastoral concern or you can ask for a call from me or from our pastoral care team headed by Sue Witte and Joanne Majecko. Also if you have noticed that you haven’t seen someone attending in a while, we would ask you to inform us of that as well on these cards. Because it is important that we notice people, and it is also important that we notice people who are not here. If you are missing someone, please let us know, and you don’t have to wait to send a note in for someone else to call. You can call, you can tell them you miss them and invite them back into the community and back into relationship with the congregation. But let us know as well. Don’t assume we realize that someone isn’t here. Let us be intentional about letting others know we miss them, and that they are welcome back. Ultimately, changing something small or large comes down to a belief that by doing so, in the long run we can improve ourselves, our community and the world we live in. In doing so, we are going to encounter the strange. By changing, we may meet people whose lives and experiences are totally alien to us. We can choose to isolate ourselves, or impose ourselves and our values, or we can choose to face what is strange to us, to learn about it, to respect it, to be open to it. Upon investigation, we may not agree with everything that is strange to us, but gaining knowledge of new and different ideas, people, cultures, new ways of doing things, can not only be positive, it is necessary. With global communications and interactions that are expanding at a exponential pace, it is critical to keep an open mind and dialogue to assure a peaceful evolution of existence. Every experience we have changes us as we integrate that experience into our lives, so I encourage you to experiment, assess, and then adapt. As an example, when I first came here, I changed the opening words that we used. What you may not have realized, that with the input of religious services committee we are now on version 7 of those words, which started at 330 and is now down to 167 words. Working together, collaborating with our collected wisdom, being open to different ideas, can create a positive change. Sometimes it can be small like shortening the opening words, but sometimes it can be transforming. We just don’t know unless we try. For what I learned years ago when I moved to Greenwich Village was that we have to change the way we do things, change the context of our experiences, to change ourselves. I learned that it is important to risk the safety of security to be whole and to be who we are meant to be, to be who we are. I learned it is OK to be and think differently and that a community can gain strength from that diversity. Change will happen whether we like it or not, so lets be conscious about it. We can change for the better and we can be the change for the better. We sometimes just have to have faith that we can. Lets give change a chance. May it be so, and may we make it so..
Can you hear me? What about now? So last week we heard about social media and the need to balance silence and the abundance of communication. I have to admit that although I am not often an early adopter of technology, I do try to embrace new technology once I see it has some staying power. If you are my friend on Facebook, you know I embrace it as a form of communication. If you are not my friend on Facebook, please feel free to friend me if you choose. I have not entered the twitter world yet, but I imagine it will happen at some point. I was joking with the religious service committee in fact one day maybe we will be at a time and place where people are tweeting their joys and sorrows that can then be viewed on a big flat screen televisions. Technology gives us more ways and sometime more efficient ways to communicate. Now that my I am Facebook friends with my children, I know much more about their lives than I ever did before. Sometimes there are things I am not sure I wanted to know. Technology in and of itself doesn’t always really help us communicate more fully. It doesn’t teach us how to craft our communication so that its meaning can always be understood by the recipient. Technology doesn’t teach us what we should be communicating about. Technology doesn’t teach us to listen with an open heart and mind. Technology doesn’t teach us necessarily how to listen at all. So often we feel if only the other person would understand me. But often it is ourselves who need to realize that we cannot hear. Good Communication should not be just a one way street. Good Communication should be a dialogue between two people listening and sharing with each other. The covenant we agreed to use in our adult religious education class includes cultivating attentive listening. Listening to understand and suspending judgment; Respecting the contributions and circumstances of each other; trusting each other's good intentions and accepting and respecting those with differing opinions. Now trusting each others good intentions doesn’t mean we should ever accept bad behavior, but let us remember that we often hear things only from our own perspective. We often make assumptions as to why the other person may be saying something and we often assume an emotion to the words that may not be there. So instead of becoming defensive I encourage you to ask clarifying questions to delve deeper into why someone feels the way they do or why they said what they said. How we say things matter. Do we use a gentle loving voice, a voice that comes from an open heart, a voice that asks clarifying questions, or do we use an authoritative voice that insists there is only one way. Let us not silence others, but to encourage their questions. Maybe their questions will awaken within us a new way of seeing. Or maybe our open acceptance of their question and discussion about it will open in them a new way of seeing, maybe our acceptance of their questions will give them the courage to continue to explore, that may lead to new revelations, perhaps our acceptance of their questions will let them know, to truly know that they are welcome, that they belong. Western culture has long valued both a rhetorical and dialectical style of communication. The rhetorical style of communication is one often used by politicians trying to convince or persuade others of the rightness of their argument. This usually involves only one way communication between the speaker and the listener. From a dialectical perspective we try to use rational discussions to examine beliefs. It assumes there is one universal true answer, and uses logical questions and critical thinking to arrive at the correct answer. This is probably most prominent in the works of Plato with his character Socrates who is often questioning the gathered about different ideas. 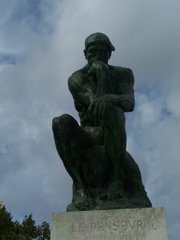 Often the Socratic dialogue is a negative form of inquiry, trying to disprove beliefs as opposed to affirming a belief. A more modern form of this, at least for someone in my generation would be the Peter Falk Character in the TV Detective show Columbo who just as he is walking out the door, says “I have just one more question” and that one question just always seems to solve the case. But life is not a television script, or a well crafted philosophical treatise, and although we search for that elusive universal truth, or Plato’s ideal form, we are often faced day to day with issues that are less than ideal and truths that seem to be relative to our experiences in the world. So how do we communicate in a way that allows all voices to be heard? I believe that in and of itself is the critical aspect of communication. People having their voices heard, not just listened to, but heard, and incorporated into the decision making process. To do this we have to be in relationship with each other and thus I would call this relational communications. Communicating not to persuade, to convince, not to debate, not to debunk, but rather communicating to express yourself, to share of yourself, to let someone else know who you truly are and as well hearing others express themselves, to allow others to share, to really know each another. It hard to do this in the world. We are always worried about being judged, What will the boss think, or my partner (which could be one and same) what will my children think, what will my friends say. But it is important to allow our authentic self to come through, otherwise we will never be whole. And by letting your authentic self through that gives permission to others to be authentic as well. Now let us be clear, in any organization, there are boundaries. Even here, I would say even especially here, because of the nature of our free religion, that allows us to search for our individual truth, especially here, it is not just anything goes. It is what we agree as a group to be our boundaries. What we covenant with each other, and especially how we covenant to communicate with each other. We are working towards a policy based governance, it’s a fancy title, but its goal is to empower committees and teams to make day to day decisions for themselves within agreed upon policies. The creation of these policies will be discussed with the groups involved and with the congregation as whole. That is how we should do things. Now not everything happens immediately. Slowly but surely we are working to improve communications, all board minutes and policies have been on our website for quite some time. Starting this last month the ministers’ and committee reports are on our website, starting this month the board will be meeting monthly with the congregation during coffee hour to answer your questions and get your input. Let us hear from each other, let us learn from each other, let us be authentic with each other. Throughout all my experiences in building organizations, before I was a minister I was involved in a successful startup and many other growth business’ and a key factor to success in every one of those business’ is for all the members of the organization to always keep the focus on the organizations’ mission and vision. With every action we take we should be asking if that action is leading towards fulfilling the mission and vision. Now of course different people have different ideas on how to fulfill it, so let us create an environment where differing opinions can be discussed openly and let us be willing to learn and also be open to change. Another key factor in creating successful organizations is people working collaboratively to come up with the best possible solutions to implement the vision and mission. A collaborative environment can unleash creativity as long as there is trust and non-judgment. No one of us alone has all the answers. Collaboration actually breeds creativity, and will lead to the best possible answers. It will be the best possible answer because having been involved in creating it, we will believe in it and therefore we will work to make it become true. And then it become a self-fulfilling prophesy. Now we do not work as full consensus. Full consensus often leads to paralysis of action. There will always be some who will disagree with a decision. However giving every person a chance to be heard, to use the wisdom of the entire congregation, to allow the leaders of the congregation to make the decisions they feel are in the best interest of the congregation’s mission and vision will allow us to move to our greatest potential as a congregation, will allow our message to reach more people in the Quad Cities, and will lead us to our best selves. Just two weeks ago in my sermon on UU Identity I suggested our Identity is our willingness to question. Appreciative Inquiry talks about what types of questions to ask. it focuses on the strengths of the organization and looks to the future, keeping the best of its past and carrying it forward while focusing on envisioning a future that we hope to see. Those visions start with questions that should draw us to our highest ideals. Not that we should ignore problems, but we should frame them in a new mindset, with a positive mindset of how new ways of doing things could improve the congregation. Albert Einstein said “we cannot solve a problem from the same mindset that created it”. We have to change the paradigm. We have to let go of the negative, to free ourselves to look to a brighter more hopeful future. And that starts in the present moment. We have started doing this. We have been hearing member’s powerful stories. Stories about how their lives have been changed for the better by their relationship to this congregation. Let us continue to ask the questions about what we value deeply, and what are the core values that define how we work in each area of our congregation. In the Team and committee meetings I have attended, I have encouraged people to dream about what we could be, how we could transform ourselves and our community. With their budget requests and in writing their team charters they have been setting their goals and hopes for the next year, designing how they hope to make that dream a reality. This is a constant process that requires adaption, but the next step is implementation. We will become the congregation you decide it shall be through your actions. Let it be a rich congregation, a full congregation, a meaningful congregation, that not only nurtures the spirit and the mind but also through its actions heals the world, the world within, and the world without. Let your actions enhance your words, Let your actions be driven by your values. Let your actions be healing, Let your actions speak to what type of community you hope to create. Whats for dinner? I am listening. Let me hear you. May it be so.